Living in the Midwest, there’s at least one camaraderie that seems to spread across many people: when it’s time for winter to be over, we’re ready for it. The ice and snow have been so beautiful, but the cold has had its time. In anticipation for not only the coming spring, but also the fast approaching summer, we’ve been going through film scans from our trip out west a few years ago. Amanda and I have some pretty exciting travel plans for 2019 so I’m trying to wrap up any personal editing and journaling that may have slipped through the cracks thus far. 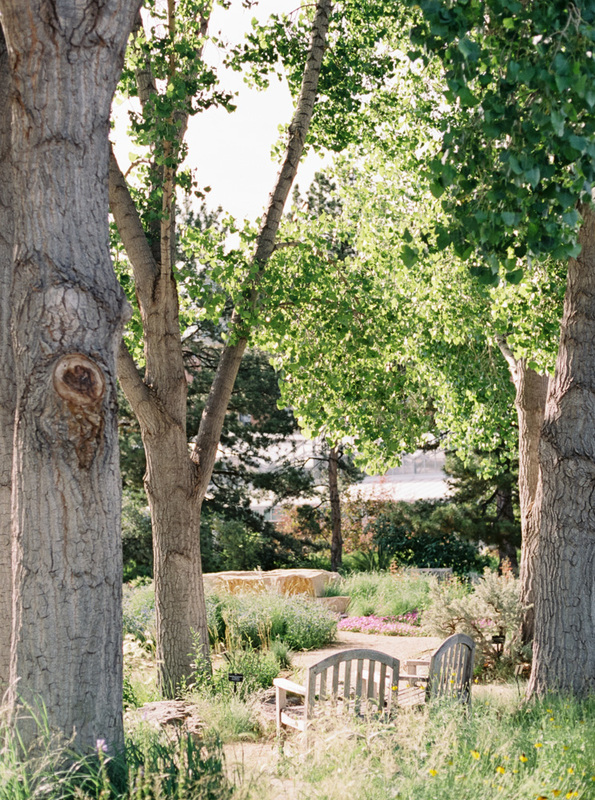 These captures from the Denver Botanical Gardens fit squarely into both of those categories and I’m so excited to finally publish this series of journal entries from our Colorado trip. While we weren’t able to shoot any sessions while we were out there I remain hopeful that someone will hire us for their destination wedding out there quite soon. *wink wink* So instead of sharing engagement or wedding photos we’re instead going to do a four part series of personal work in the hopes that by the the series is done flowers will be in bloom and buds will be on the trees.